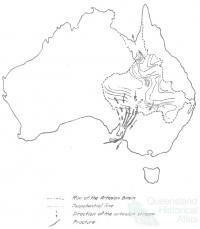 The Great Artesian Basin (GAB) is a geological curiosity. What might be described as a ‘giant geological sponge’, it consists of alternating layers of water bearing sandstone wedged between impermeable mudstones and siltstones. Covering approximately one fifth of the Australian land mass, water has been obtained from depths of up to 2000 metres with temperatures varying from 30 to 100 degrees celsius in the deeper areas. In the south-west of the basin, water has been dated at two million years since last exposed to daylight. Water enters the basin as rainfall along outcropping intake beds and due to differences in elevation, becomes pressurised within the aquifer. Fractures in the earth’s crust result in natural springs. Bores penetrate impermeable layers and this allows water to rise to the surface. Penned in 1896, A.B. (Banjo) Paterson’s ‘Song of the Artesian Water’, celebrated human triumph over nature as well its hidden treasures ‘down below’. 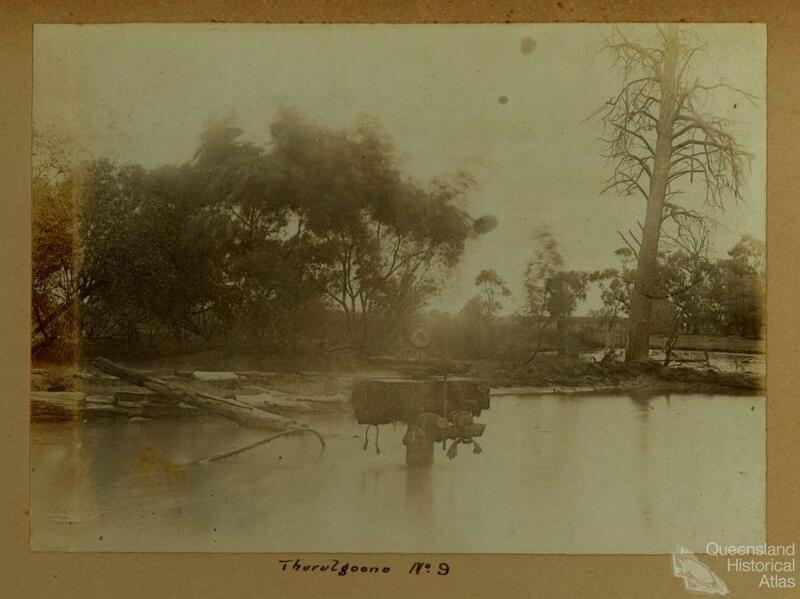 Forsaken by drought, people turn to ‘Canadian Bill’, a steam powered drilling rig. Plugging ‘downwards at a thousand feet of level’, Paterson suggested that artesian water came from the very gates of hell where, ‘knocking on the roof of satan’s dwellin’, people seemed to be entering an uncertain pact. ‘Song of the Artesian Water’ suggests Paterson had intimate knowledge about drilling bores. This may have come about the previous year, while holidaying at Dagworth station near Winton. Known more famously as the place where he wrote ‘Waltzing Matilda’, at 3335 feet Dagworth had a particularly deep and unusual bore. The water came out at 196 degrees fahrenheit, close to boiling, and yielded an impressive 1,250,000 gallons per day. This bore and others seen on his journey from Rockhampton may have been source of inspiration. Paterson may have also felt encouraged to write about artesian water by Rudyard Kipling’s praise of his line ‘Till I drink artesian water from a thousand feet below’ from his earlier ballad ‘A Bushman’s Song’ written in 1892. 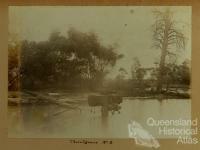 The discovery of artesian supplies in Queensland in the late 1880s, captivated the imagination of poets, scientists and people. At the time successful drilling operations were reported in the colonial press and widely talked about. 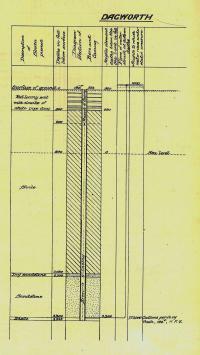 Charleville’s first bore was drilled in 1889 to a depth of 1371 feet. Flowing under tremendous pressure, the water threw up small rocks and fossilised ferns into the air, remnants of an ancient landscape. The water rose to a height of 50 feet above the casing and it took up to 12 men to cap the bore. This water, however, was an enigma. While residents rejoiced at the discovery of abundant supplies in a landscape dominated by drought, there was considerable uncertainty where the water came from and more importantly, how long it would last. On pastoral runs, bores were left to flow into dry creeks and earth drains and within a few years there were alarming signs of diminishing bore pressure. Debate regarding the need to conserve Queensland’s water resources, both surface and groundwater, evolved alongside growing awareness of the GAB’s complex geological structure and hydrology. Veiled by the surface, knowledge could not be obtained by simple observation, rather, by piecing together disparate fragments of geological evidence, gradually over time. 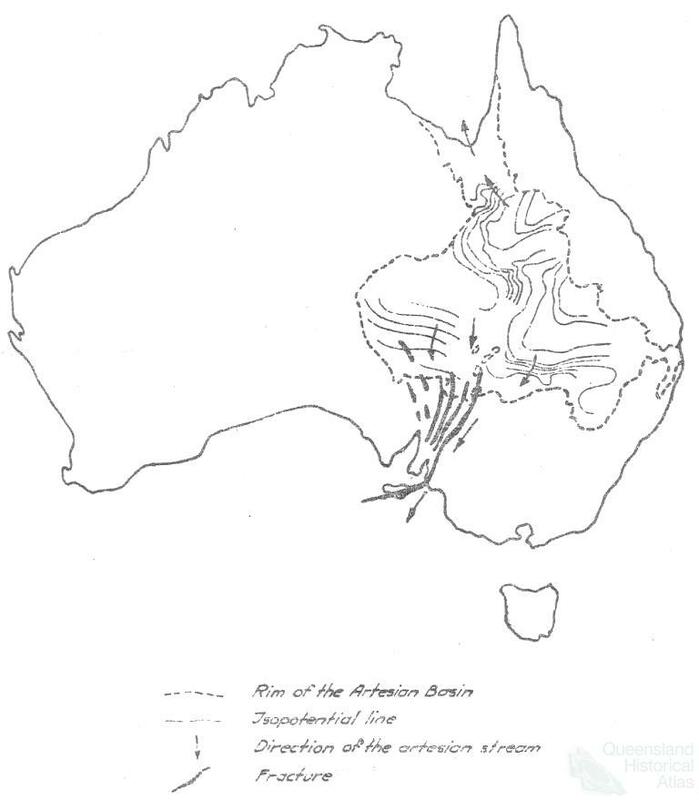 The GAB began not so much as a phenomenon, but a theoretical misconception that rivers across eastern Australian did not carry their expected discharge. In 1878, T.E. 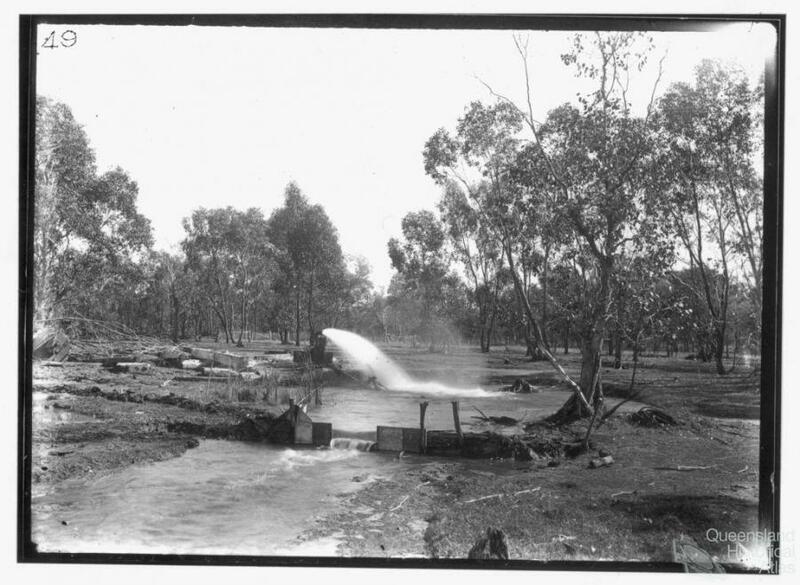 Rawlingson claimed that between the junction of the Ovens to the Goulburn River and the Murray River in northern Victoria, 850 cubic feet per minute of water was lost in a course of a few miles, while during flood, the Barcoo River and Cooper’s Creek appeared to convey large amounts of water into the interior where evaporation alone was considered insufficient to explain its disappearance. Rawlingson thought this water would be found underground and advocated deep drilling to test the theory. The first major evidence of the GAB came the same year following the sinking of a shallow bore at Killara station west of Bourke. Water was tapped at 140 feet, however, much of the ‘risk’ was taken out by drilling close to an existing mud spring fed by the artesian basin. Shallow bores yielded modest results and failed to capture public imagination of inexhaustible supplies. Nevertheless, they contributed to an awareness of the possible extent and structure of the GAB. 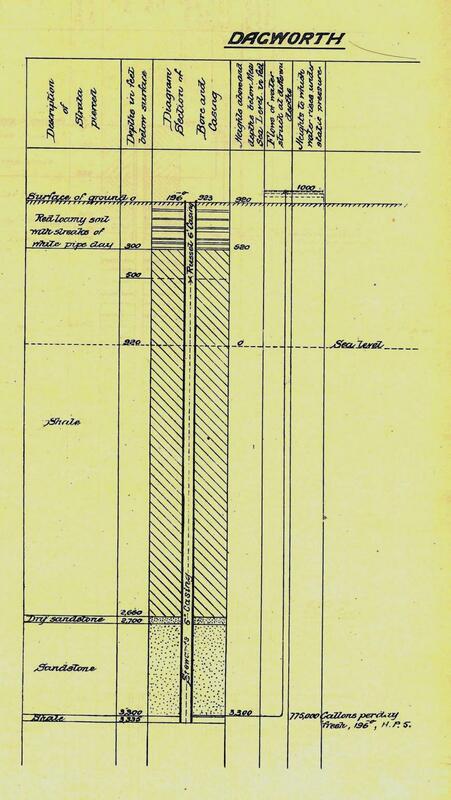 In a paper read in 1884, John Falconer cited repeating patterns of stratified water bearing layers recorded along Queensland’s western railway as evidence of the GAB. He claimed artesian water could be found at the depth of 200 feet in the Maranoa district while due to differences in sea level, water would be obtained in Charleville at roughly 60 feet. This later proved to be the case with a supply 18,000 gallons per day struck at 53 feet in which he concluded that it would be ‘difficult to select a place west of Roma, where artesian water could not be obtained’. The costs associated with deep drilling dissuaded attempts to properly test the theory. 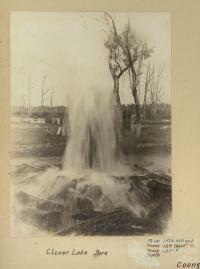 Subsequently it was the occurrence of drought in the 1880s that provided a catalyst for the Queensland government to establish a test bore in Blackall. Drilling commenced in 1885 though due to a series of technological issues and a blow out of wages, completion was delayed. Backed by large amounts of British capital, pastoral investment companies tried their luck and succeeded. Commencing in 1886, Canadian driller J.S. 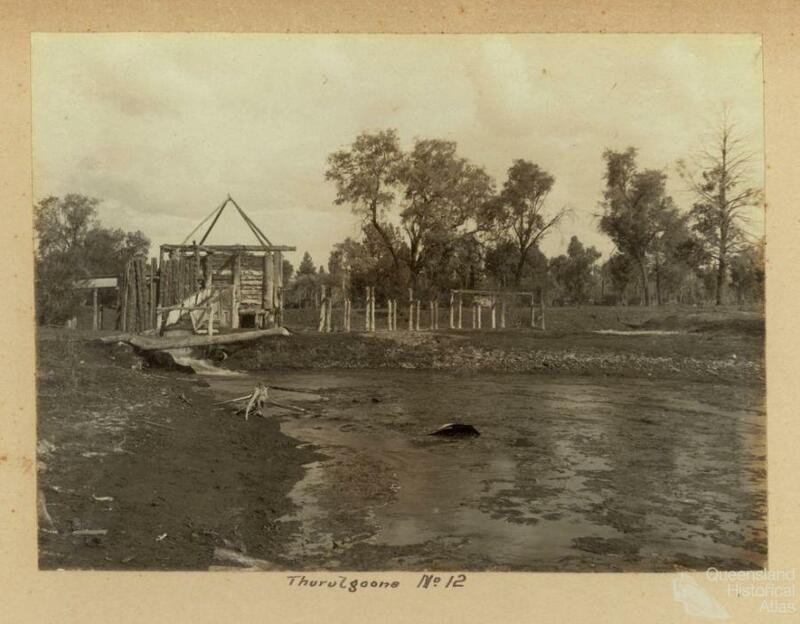 Loughead, contracted by the Squatting Investment Company, began drilling on the Thurulgoona property near Cunnamulla. A resident of Barringun on the New South Wales border remembered the day Loughead passed through along the way to Thurulgoona. Predating Banjo Paterson’s ‘Song of the Artesian Water’, Loughead confidently declared that he would either ‘strike hell or water’. After several months a supply of 3000 gallons per day was obtained at just over 1000 feet. 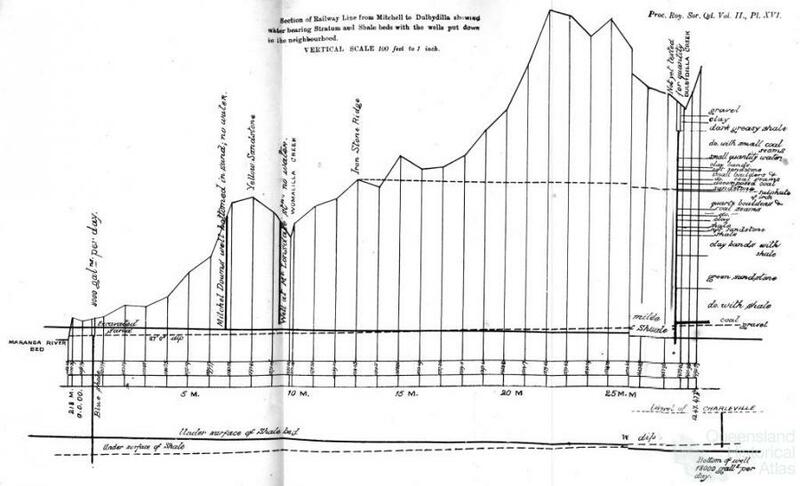 Later the bore was deepened and by 1890, a depth of 1193 feet yielded an impressive supply of 80,000 gallons per day. By 1897, 541 bores had been drilled, or were in the process of being drilled across Queensland, the majority on privately managed leasehold land. As drilling operations fanned into the west, new theories emerged to encompass the GAB’s scale and complexity. Speculation continued into the twentieth century including some extremist ideas that the waters came from the Papua New Guinean highlands. However, at least within official circles, three principle theories explained both origins and supply: the Meteoric, Plutonic and Connate. The Meteoric theory followed more conventional understanding of groundwater hydrology, suggesting the basin was largely, if not entirely derived from rainfall absorbed by outcropping intake beds. The Plutonic theory, however, claimed waters were derived from deep sources in the Earth, while the Connate theory suggested the basin was a kind of reservoir trapped between impermeable layers that formed as the crust developed over millions of years. Meteoric theory was distinctive, not so much because of its supposed credibility, but as it was most compatible with being ‘renewable’. 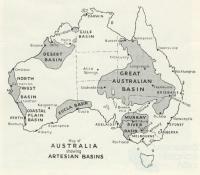 Many speculated that the artesian basin linked to the Great Australian Bight and drew maps which justified profligate use because it prevented ‘loss’ to the ocean. In 1920, a paper by J. Richert produced a map of this phenomenon. He suggested the origins of the water were plutonic and meteoric claiming that the volume contained in the basin could not be exhausted by existing flowing wells in 6000 years. The head of the Water Supply Department J.B. Henderson ignored speculation. Concerned about diminishing supplies he pushed for earlier regulatory control in the form of the Water Supply Bill of 1891. This was a radical piece of legislation which sought to overturn a fundamental principle of English common law. Instead of the property of landholders, all water, whether in water courses or underground, was to be vested in the crown. Needless to say this was unpopular with pastoralist and free marketers who criticised the bill. Without precise knowledge of the artesian basin’s complex geological structure, there were other ‘plausible’ explanations as to why flows were diminishing: bore clustering, drought or simply corroded bore casings. Inter-colonial rivalry was evident because Queensland was at the head of the supply, some thought there was little benefit in curbing use if New South Wales didn't follow. The ability of skeptics to exploit uncertainty and prevent environmental regulation finds uncanny parallels with recent climate change debate. Supporters of the Water Supply Bill subsequently had to bide their time until the political climate was more favourable. Two decades after the initial bill was introduced, the Queensland government eventually passed the Rights in Water and Water Conservation and Utilisation Act 1910. 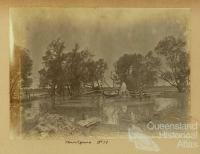 New South Wales later followed suit with the Water Supply Act 1912. This year also marked the first series of interstate conferences which highlighted the need to continue investigating the GAB and accurately delineate its extent. 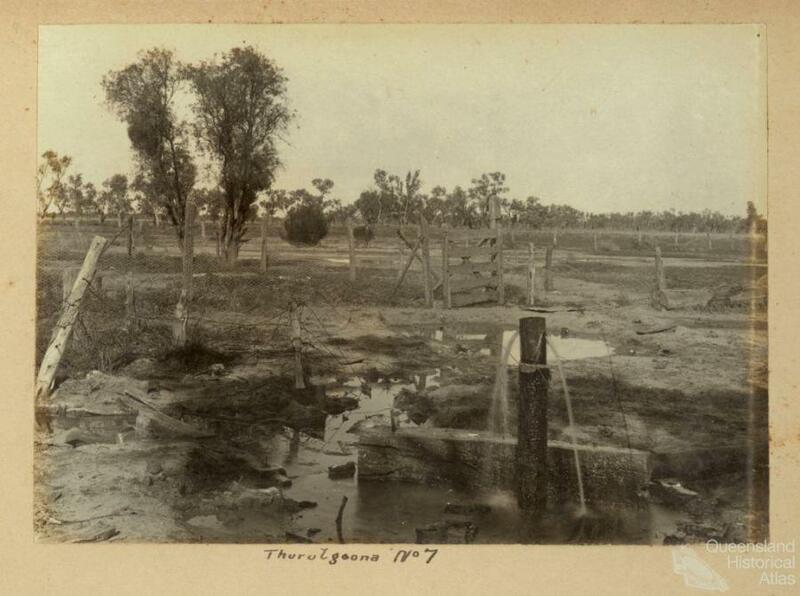 While legislation would prove critical for future water management in Queensland, interstate cooperation did not immediately prevent the diminution of artesian supply throughout the twentieth century. 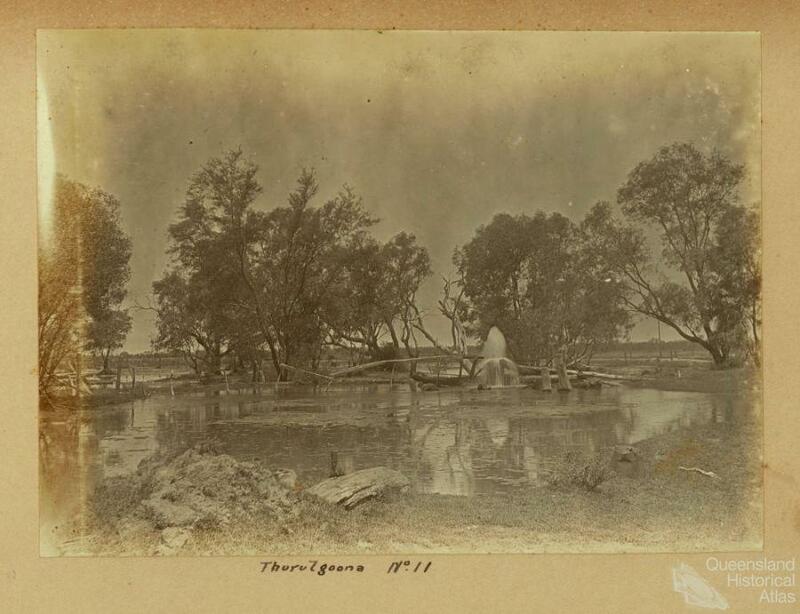 Along with bores, hundreds of natural springs ceased flowing. The Southern Cross windmill became a ubiquitous feature of the western Queensland landscape. Often used to pump up artesian supplies, it is partly testament to policy failure. Currently there is greater recognition by pastoralists and policy makers to more efficiently utilise artesian resources. Several programs have operated since 1989 to cap bores and replace drains with piping with the aim of reducing waste and restoring water pressure. Up to 2005, 4600 kilometres of earth drains were replaced state-wide and, as a result, many bores and natural springs flow freely once more. The GAB remains the life blood of western Queensland livelihoods, however, it retains a wider historical significance for all Queenslanders. Scientific curiosity about the GAB played a crucial role in some of the earliest debates concerning the sustainable management of Queensland’s most important natural resource: water.